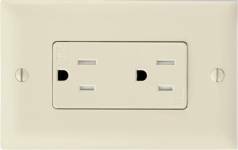 The National Electrical Code (NEC) has a number of rules regarding the correct placement of an electrical receptacles above countertops. The primary rule is called the 12 / 24 rule as it stipulates that countertops that have free area where the dimensions are greater than 12 inches x 24 inches must have an electrical receptacle above the countertop. This rule applies to all countertops with the exception of bathrooms (where separate rules apply) including bars, islands (which have some exceptions), and peninsulas. If you are remodeling a kitchen or doing a major DIY kitchen home improvement, it is important to keep the 12 / 24 rule in mind as a change in the dimension of countertops by as little as one inch can change your electrical receptacle requirements. 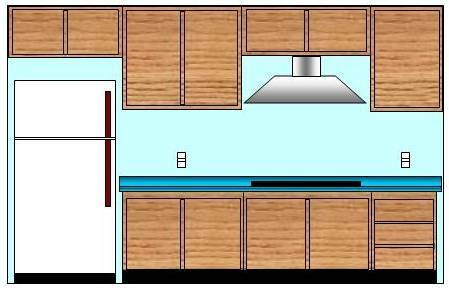 As shown in Figure 1 above, the break in the countertop does not have to be complete. 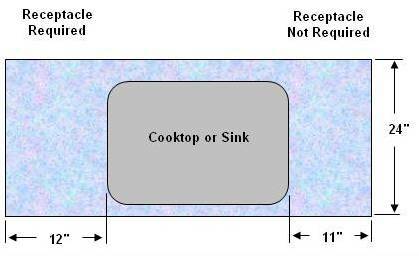 In this case the insertion of a sink or cooktop in the countertop creates, as to the rules in the National Electrical Code, two separate countertops, one that would require an electrical receptacle and one that would not. Countertops require an electrical receptacle to be placed a minimum of 2 feet from a wall or end of the countertop and another no more than 4 feet from it, if the countertop is greater than 4 feet in length but less than 6 feet in length there must be 2 electrical receptacles. A countertop that is greater than 6 feet but less than 8 feet would require 3 electrical receptacles. A homeowner should remember that this is a minimum requirement and if, because of the number of appliances or devices that you may wish to have on a countertop exceeds the electrical receptacle minimum there is nothing within the code that prevents you from adding electrical receptacles. 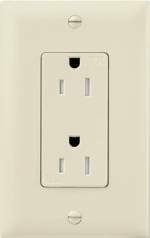 Remember that all kitchen electrical receptacles must be GFCI protected, either with a GFCI electrical receptacle or a GFCI circuit breaker. The electrical receptacles must be no more than 18 inches above the countertop and may be mounted in a vertical or horizontal direction, see Figures 2a and 2b.